It’s been a hectic weekend, lots to make and lots to bake, but all for a great cause — mothers (and grandmothers). We finally had some beautiful weather this past weekend, which only means one thing — bbq. 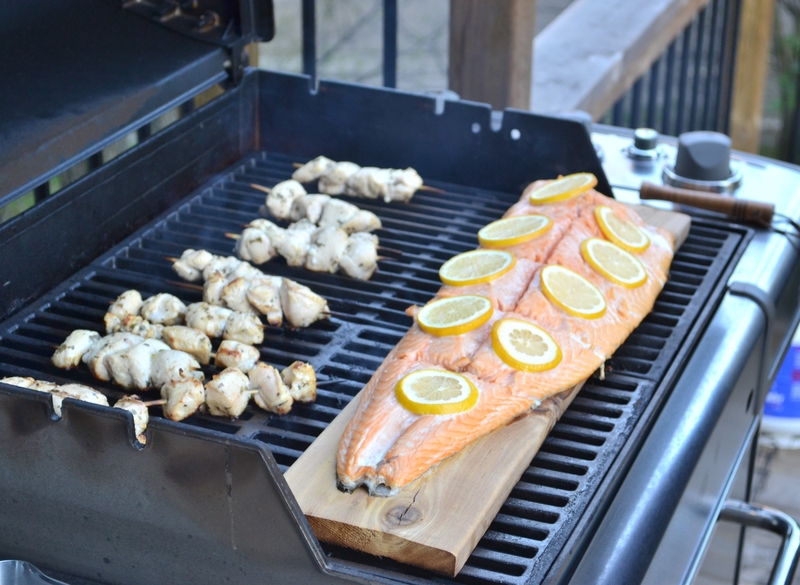 Smokey cedar plank salmon and greek chicken kabobs were a no-brainer. When you’re using a cedar plank for bbqing salmon, just a little lemon and olive oil will do the trick — the salmon was so moist and delicious, and SO easy to make. 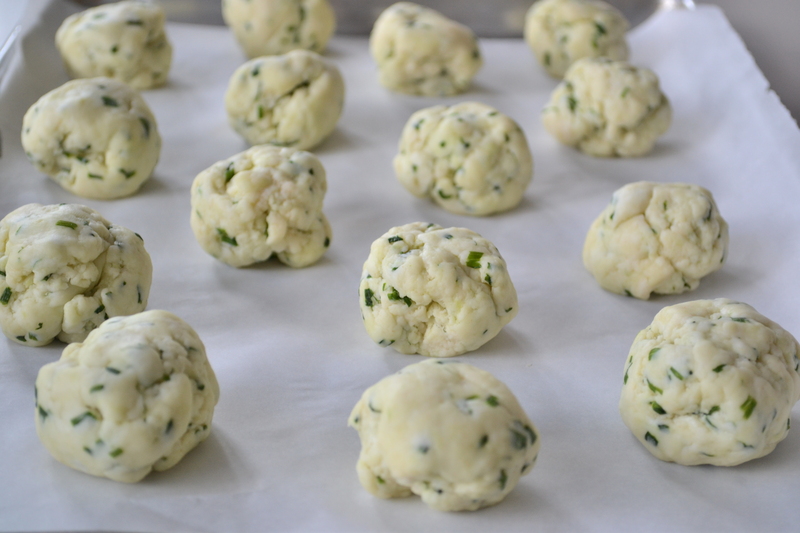 Combine herbs, oil, lemon juice, garlic, salt and pepper in bowl. Place cubed chicken in large bowl and pour marinade over chicken. Mix well. Keep covered in fridge for about 30 minutes. Meanwhile, soak bamboo skewers in water for about 30 minutes. 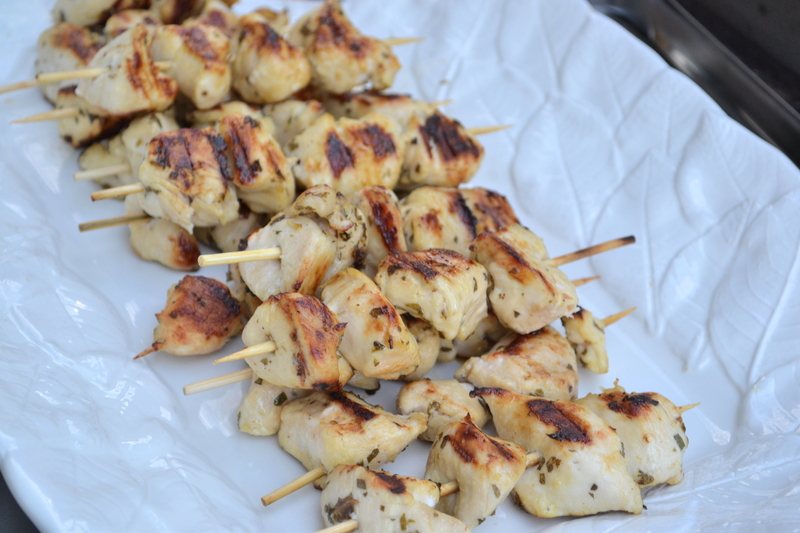 Place chicken on skewers, about 4 pieces per skewer. Grill on bbq about 5 minutes each side, medium high heat. Serve immediately. Delicious! 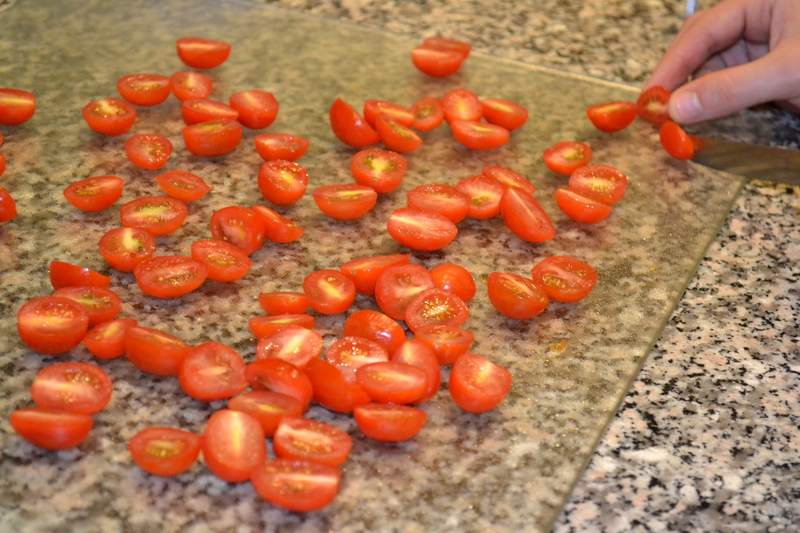 My bf offered to help me prepare the big meal, so I let him slice grape tomatoes (about 3kg) and juice some lemons — it was a huge help! 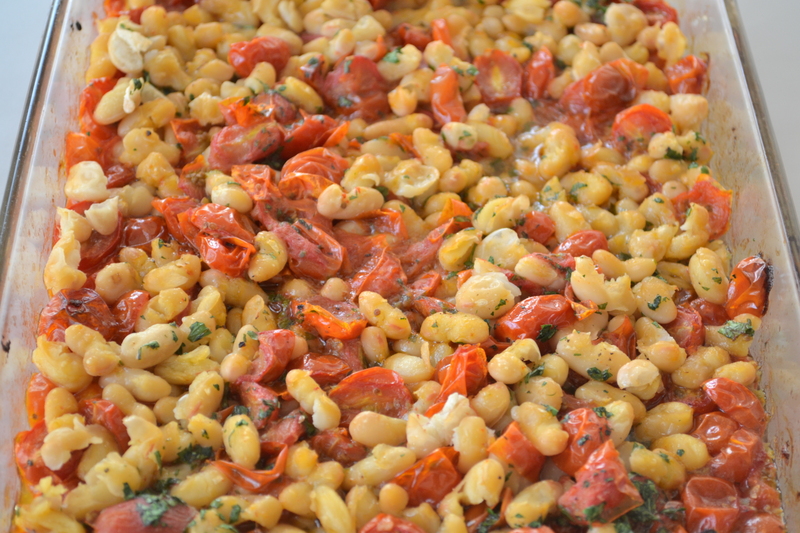 This here is the roasted tomatoes with white kidney beans. 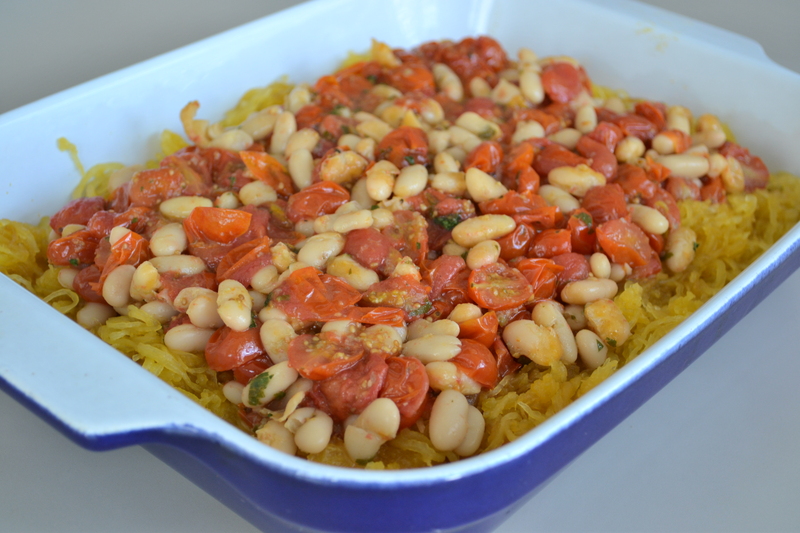 I served this mixture over a bed of spaghetti squash, it turned out beautifully! 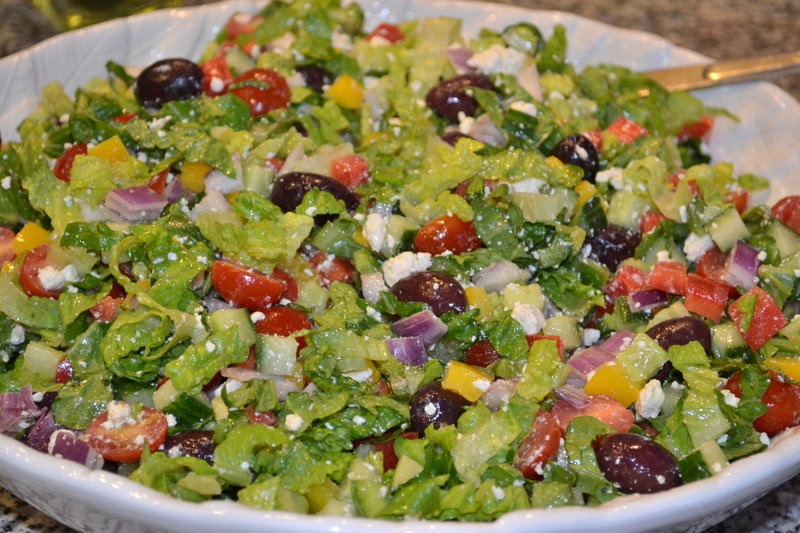 I also prepared a basic greek salad which paired well with the greek chicken skewers. 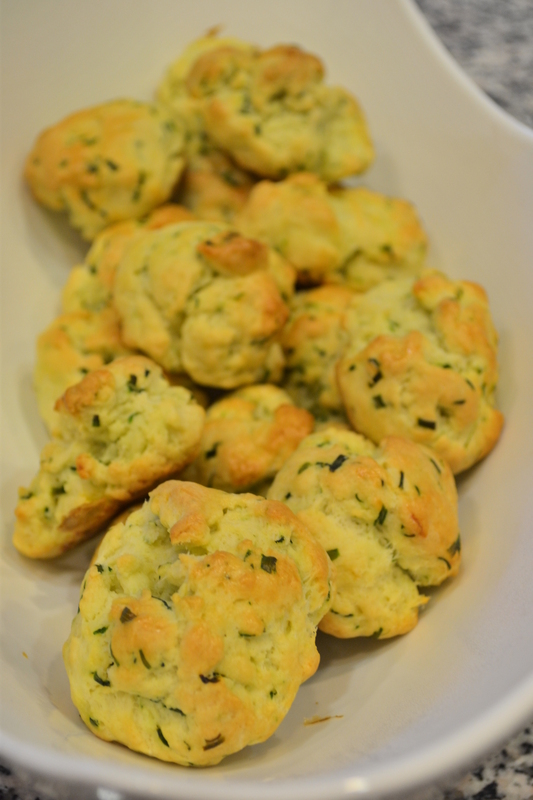 Finally, I baked Barefoot Contessa’s chive biscuits. Here they are just before baking…and before I brushed them with egg wash.
By the way, pictures of dessert are on their way. Stay tuned! WOW! All of the food looks amazing…can’t wait to see the dessert!! !